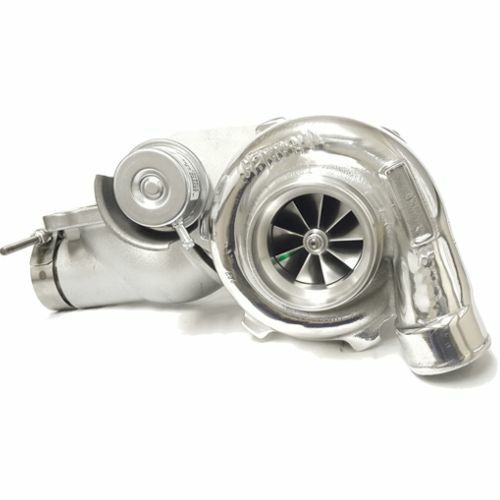 Bolt-on, stock location GTX2971R 86 AR internally wastegated turbo kit for the Ford Focus ST 2.0L Ecoboost. Any stock placement intake pipe will fit. Adapter elbow provided.